With clean lines and a contemporary feel. Aluminium Venetian blinds offer you precise control of light intensity and direction with the quick twist of a wand and cord control system. The wand control is mainly used on the16mm ,25mm and 35mm blinds and cord controls used on 50mm blinds. 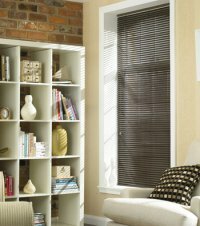 Venetians are horizontal in look and are available in a wide range of colours. 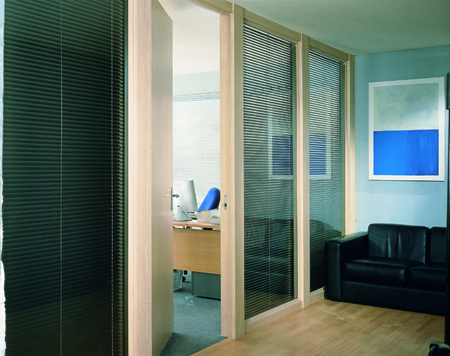 They help to maintain privacy while allowing light to enter. 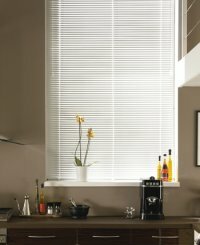 There is a small selection of colours available in the "perforated" option. 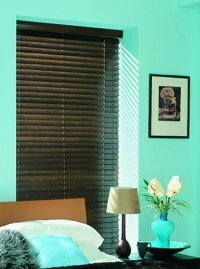 This allows for more light to come through the blind when in the closed position. 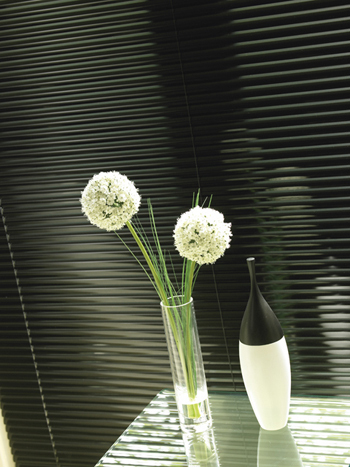 The light weight of aluminium Venetians allows them to cover larger windows and ensures they are easy to operate. 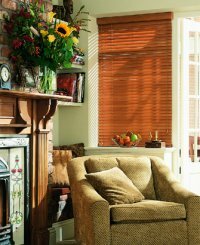 The "Aluwood" finish which gives the Venetian the look of wood is especially perfect for use in conservatories and sunrooms. 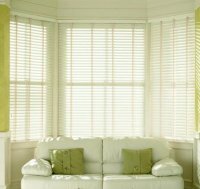 Aluwood also fold up tighter than wood blinds and also cover a larger area.. The custom-made blinds come in a wider range of colours, avalable in 25mm 35mm and 50mm slats. These blinds are tailor made to suit your requirements and have the added option of cloth tapes )on selected ranges) to enhance you blind. 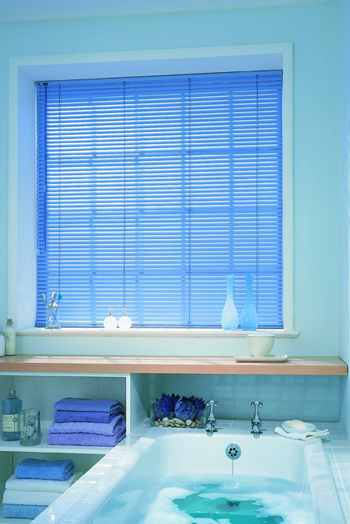 All blinds are provided with a valance to cover the headrail and match the slats in your blind. 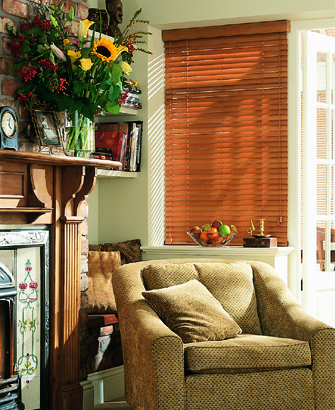 Real Wood Venetians add a natural warmth, beauty and elegance to any room in your home and are a popular choice for window coverings as they can dress the window completely without the need for curtains as well.